As one of only two men working at CBS Animal Hospital with 20 women, Dr. Mike constantly hears things he wishes he hadn’t! He has two families; the first being the three most important people in his life: his rock and all-star wife, Ashley, and his two young boys, Isaac and Noah. With only two cats, he was under constant barrage from his second family – his work family – to add to his hoard. This resulted in the recent addition of a new puppy to the brood. When not at the clinic you may find him playing guitar, practicing his amateur photography skills or planning his next overseas vacation. 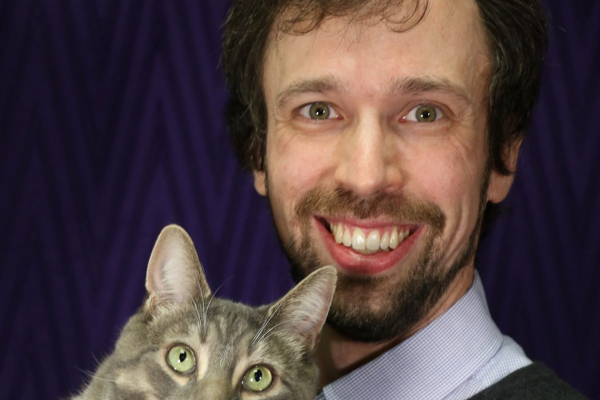 Dr. Mike joined CBS during its inaugural year, and if you’ve adopted from the SPCA or participated in their SNAP program in recent years, chances are he spayed or neutered your fur baby. Dr. Mike graduated from the Atlantic Veterinary College in 2008 and looks forward to meeting you and your furry family members.